FROM GRASSROOTS TO GLOBAL IMPACT. 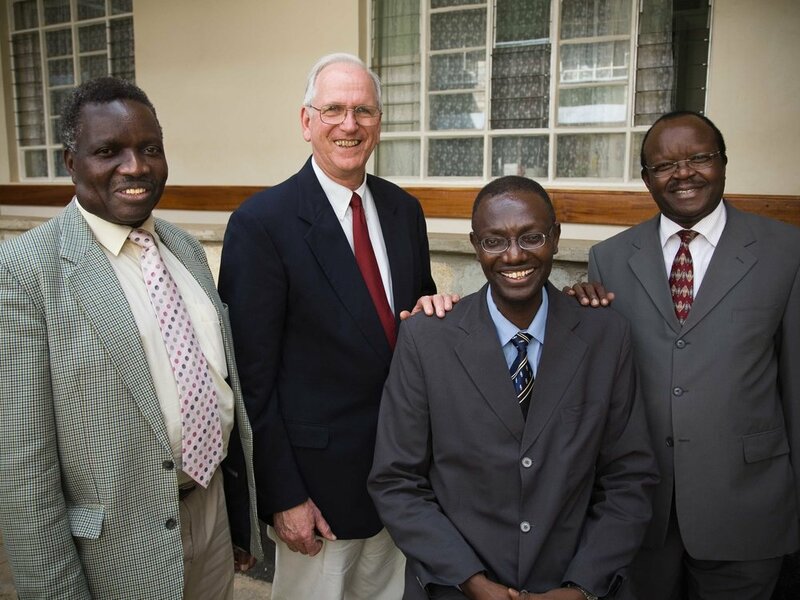 What started as a small team responding to a population of people in need has grown into a global partnership between academic institutions in Kenya, North America, and around the world. Together, we’ve pooled our resources, knowledge, ideas, and passion to become one of Africa’s largest, most comprehensive and successful health care systems. In 1988, Doctors Bob Einterz, Joe Mamlin, Charlie Kelley, and Dave Van Reken went on a three-week world tour looking for an international partner for the Indiana University School of Medicine. What drew them to Eldoret, Kenya was not only the need, but the vision of Moi University School of Medicine Dean, Dr. Haroun N.K. arap Mengech, who was committed to build the new school’s curriculum around broad, community-based service. Moi University welcomed its first medical class of 40 medical students in 1990. And Dr. Bob Einterz became the first in a three-decade string of Indiana University faculty physicians to work alongside Kenyan colleagues, care for Kenyan patients, conduct health research and teach American and Kenyan medical students. The success of the Indiana University/Moi University partnership and our shared mission inspired several other North American Universities to join and in 2001, the Academic Model Providing Access to Healthcare (AMPATH) was officially formed. In the early 2000s, our partnership made a deliberate decision to take on the growing HIV epidemic in Kenya, one patient at a time. AMPATH quickly become one of Africa’s largest, most comprehensive and effective HIV/AIDS management and control systems – addressing not only HIV testing and treatment but also maternal and child health, nutrition, counseling, and helping patients regain financial stability and independence. While our commitment to the HIV epidemic remains a top priority, we’ve also expanded into care that includes chronic diseases such as cancer, diabetes, cardiovascular disease, mental health, maternal health, child health, and more. Today, AMPATH serves a population of more than 4 million people in Kenya at 500+ clinical sites from village health centers and dispensaries to county hospitals to the Moi Teaching and Referral Hospital. 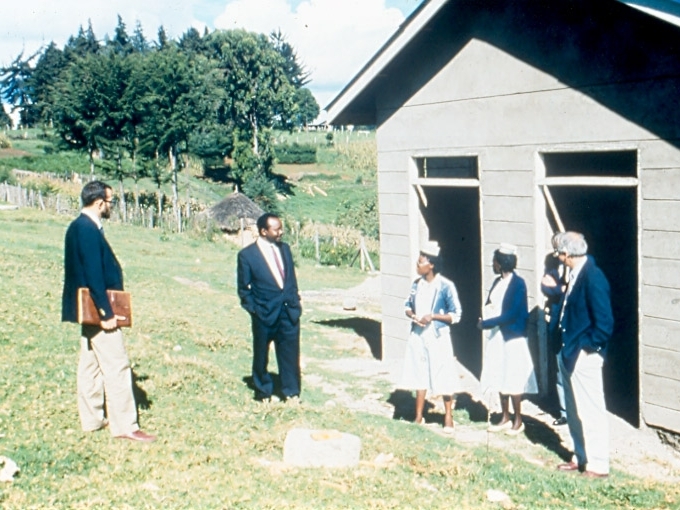 Medical doctors, residents, students, and scientists study and serve together, in Kenya and in North America. And all the while, researchers, advocates and supporters work to improve health care access, insurance, policy, and more for everyone across the globe. THE REAL STORY ISN’T OURS. IT’S THEIRS. At the end of the day, we’re proudest of the people who’ve regained their health and their sense of strength, hope, and independence.